If you’re seated at the sushi bar at Sasabune in New York, Sushi Nozawa in Los Angeles, or Sawa Sushi in Sunnyvale, California, a few words of advice: Don’t try to order—the chef will decide what you eat. Use extra soy sauce at your own risk. And don’t ask for a California roll. You might get kicked out. You have entered the domain of the sushi bullies—top sushi chefs who serve only what they want, how they want it and to whom they want. Their rules are often posted on signs throughout their restaurants. Some chefs are notorious for ejecting patrons who annoy them. Geri-Ayn Gaul had her first encounter with a raw-fish autocrat in August at Ino, in San Francisco. First, she tried to add some soy sauce to her seaweed salad. Big mistake. 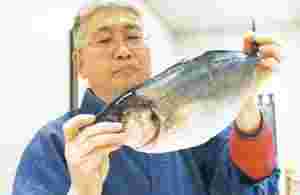 Chef Noboru Inoue scolded her, she says, telling her: “No, no, no. No soy sauce!" Then, she had the temerity to scrape some wasabi off a piece of sushi, because she doesn’t like spicy food. The chef’s response, she says: “No. It needs the wasabi." She obeyed, and choked down the fish. “I was so nervous, I spilled my miso soup," says Gaul, whose meal for two, with no alcohol, cost $75 (around Rs3,700)—before tip. While unaccommodating service may sound like a recipe for a failing restaurant, these domineering sushi chefs can have lines of supplicants outside the door. Some are expanding their reach with new restaurants, and their protégés are opening places of their own, bringing with them some of the attitude they learnt from their former bosses. Each sushi dictator has his own pet peeves, but there is common ground. Most do not allow sushi bar patrons to order off the menu. Instead, diners must accept whatever the chef gives them, a tradition known as omakase—a Japanese expression that can be loosely translated as “trust the chef". They reserve special enmity for spicy tuna rolls—typically made with scraps of raw tuna, mayonnaise and chilli powder—which they say were only invented so that restaurants could mask the taste of substandard fish. And they generally loathe the ubiquitous California roll. Not only is it a newfangled American invention that combines avocado and cucumber, but it usually contains imitation crab—anathema to chefs who have spent so much of their energy and money securing pristine seafood. In Los Angeles, a veritable breeding ground for despotic sushi masters, Sushi Nozawa is one of the highest-rated restaurants in the local Zagat guide; the description says Kazunori Nozawa “makes the Soup Nazi look polite". In August, Nozawa opened a second Los Angeles restaurant, SugarFish. About half as expensive as his flagship, the restaurant also offers takeout that comes with an instruction card on exactly how the sushi should be consumed once it gets home. Nozawa and his associates hope to expand SugarFish into a chain around Los Angeles and other cities. Higher gas prices may be partly to blame for the sushi dictators’ increasingly inflexible ways. Chefs say they are paying 30-50% more for staples such as tuna and yellowtail, compared to two years ago, because the spike in fuel costs makes both deep-sea fishing and transporting the catch more expensive. At the same time, disappearing fish populations around the world have made some chefs particularly passionate about serving sushi in its purest and simplest form. “You’re not going to be able to taste this fish forever," says Nobi Kusuhara, chef and owner of Sushi Sasabune in Los Angeles, referring to dwindling varieties such as bluefin tuna and abalone. He says that’s why he won’t use mayonnaise and other non-traditional ingredients that mask the flavours of the fish—even if customers beg for such things. Two of Kusuhara’s former employees have opened Sasabune restaurants in New York and Honolulu, respectively, complete with signs reading “Today’s Special: Trust Me". Dealing with American diners who are unfamiliar with centuries-old Japanese culinary traditions can be agonizing for some chefs, says Andy Matsuda, head of Sushi Chef Institute, a Los Angeles cooking school. Requesting fried soft shell crab rolls at a traditional sushi bar is akin to “going to your grandma’s Thanksgiving dinner and someone brings a pizza," Matsuda says. Dousing sushi in soy sauce is like pouring ketchup over the entrée at a three-star French restaurant. Other offences, such as ordering miso soup at the beginning of the meal, only add to chefs’ frustration. But some chefs say that strict adherence to tradition is also a way to stand out in an increasingly crowded market. There are about 9,700 full-service Japanese restaurants in the US, up from 7,800 a decade ago, according to Technomic, a Chicago-based restaurant consulting firm. Many of them, along with many Chinese restaurants, takeout places and even supermarket refrigerator sections, offer sushi. There is one sushi restaurant for every quarter mile in Beverly Hills, according to the Beverly Hills Conference and Visitors Bureau. Steve Sawa of Sawa Sushi in Sunnyvale, California, decides what his customers eat, doles out soy sauce by the droplet and has a ban on California rolls. Patrons who rudely demand miso soup and extra rice are often shown the door. Ousting annoying diners makes the ones who get to stay feel like they are part of a special club—a fringe benefit, Sawa says. “Some people love it when I kick people out," he adds. Some chefs inspire a sort of love-hate relationship with their patrons. Atlanta lost its feared (but beloved) sushi despot when Sotohiro Kosugi closed his restaurant, called Soto, in 2006. Kosugi, who reopened in New York last year, would occasionally berate staff in front of diners, and scowl so darkly that the entire restaurant ambience would sour, says John Kessler; the former restaurant critic for the Atlanta Journal-Constitution says he ate at Soto about 30 times. Ted Golden, a 29-year-old technology entrepreneur, says he would sometimes try to converse with Kosugi, whom he knew well—he estimates that he ate at Soto roughly 100 times—but the chef would be so focused on his work that he would refuse to answer. For his part, Kosugi says he is deeply disturbed by characterizations of him as a tyrant, and that many stories about him are untrue. He admits, though, that the pressure can make him moody and that he is “very ashamed and cannot sleep at night" after behaving badly. He moved to New York, he says, because he felt the market there was more conducive to serving only traditional, high-end food. Targeting a narrower audience, he says, helps avoid the problem of unmanageable customer expectations—and his resulting bad humour. Sushi dictators, like the American sushi restaurant trend itself, first surfaced in Los Angeles, according to Sasha Issenberg, author of the Sushi Economy, which examines the cuisine’s prevalence around the world. The California roll was invented in Los Angeles in the mid-1960s for diners who wanted to try sushi but were squeamish about eating raw fish, Issenberg says. Throughout the 1980s, creative takes on sushi proliferated, giving rise to everything from Philadelphia rolls, which contain cream cheese and salmon, to sushi made with brown rice. Then, in 1987, Kazunori Nozawa opened Sushi Nozawa in a strip mall in Studio City, California. The little restaurant soon became as famous for its authentic, fresh sushi as for Nozawa’s notorious strictures, including his habit of throwing out customers, including Hollywood bigwigs, who displeased him. Nozawa says he ejects about one customer per month. Actionable offences include taking too long to eat—the restaurant only has 21 seats and it’s not fair to people who are waiting, Nozawa says—and pestering him with requests to use a cellphone. Some patrons are so chagrined over being banned that they try to come back disguised in baseball caps, sunglasses and, in one case, a wig, says restaurant manager Yumiko Nozawa. As his reputation as a sushi despot has grown, Nozawa says more people have attempted to goad him into kicking them out by deliberately breaking the rules. “It’s for people who don’t have proper sushi-eating etiquette. Those are the people I’m hard on," Nozawa says, adding that his 45 years of experience, including a 10-year apprenticeship in Japan, and a rigorous work schedule (he shops for fish at 5am daily) give him the right to do things his way. Some of the behaviour that scandalizes American diners is the norm in Japan. To be sure, traditional training in Japan encourages a polite and friendly approach, much like the demeanour of American bartenders, says Frank Toshi Sugiyura, owner of California Sushi Academy in Los Angeles. But in Japan, customers understand that they should never offend the chef by dismantling a piece of sushi or using too much sauce. Fans of the despots say they put up with the chefs’ behaviour because the food is so good and they feel they are getting an authentic meal. Gaul, a 27-year-old pharmaceutical saleswoman, says she loved the monkfish liver and fresh sea urchin at Ino so much that she plans to go back, even though she is “afraid" to go without a Japanese-speaking companion. “I will take his somewhat abrasive advice because he’s teaching me about Japanese culture," Gaul says of Chef Inoue. Inoue says he realizes that he scares some patrons, but that he is merely trying to explain proper sushi etiquette with limited English and very little time—he is the only chef in the restaurant. In 30 years, he says, he has never kicked anyone out of the restaurant. Deeper forces may also explain why customers put up with being put down. Part of it is the “scarcity principal", says David Stewart, a psychologist who teaches courses in consumer behaviour at the University of California at Riverside’s business school. People value praise more when it comes from people who don’t give it out easily, Stewart says. People go to these restaurants in search of both “modest risk" and “approbation", Stewart says, perhaps in the form of a uni handroll. It’s a point of pride for Teddy Zee, a movie producer in Los Angeles, that Kazunori Nozawa will make him sushi with slightly less rice than usual. Zee says he “had the chutzpah" to make the request after going golfing with the chef. “In a stupid way, it makes you feel a bit special," Zee says. We developed a method for applying this sauce, using his recipe, to roasted salmon and cod. • Bring the sake to a boil in a small saucepan over medium-high heat. Boil for 20 seconds to let the alcohol evaporate. Set aside to cool. • Transfer about a tablespoon of the sake into a small bowl and mix in the mustard powder until dissolved; return to the pot. Add the miso, sugar, vinegar, yuzu or lemon juice, and sesame oil and whisk until smooth and well-combined. • Preheat oven to 400 degree Fahrenheit (204.4 degree Celsius). Line a sheet pan with aluminium foil. • Pat fish dry. Generously slather fish all over with miso sauce. Arrange fish in a single layer, skin side down, on the prepared sheet pan. Roast until fish is just slightly undercooked in the centre, 6-7 minutes. • Preheat broiler and broil fish 4 inches from the heating source, until the sauce on the fish is lightly golden and the fish is just opaque in the centre, about another 2 minutes. Transfer fish to 4 plates and serve immediately.